Ficino School is delighted to announce the appointment of a new Head Boy and Girl for the 2015 school year, Year 8 students George McCullough and Andrea Farrelly. “Responsibility and service at this age help strengthen our students’ moral foundation and provide an ideal platform in which to prepare themselves for the challenges of secondary school. 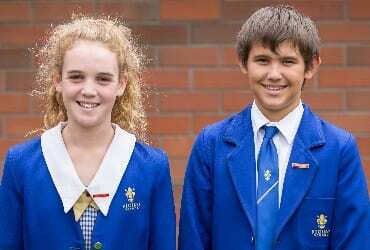 We are very pleased to have George and Andrea representing our school as Head Boy and Girl,” said Principal Peter Crompton.